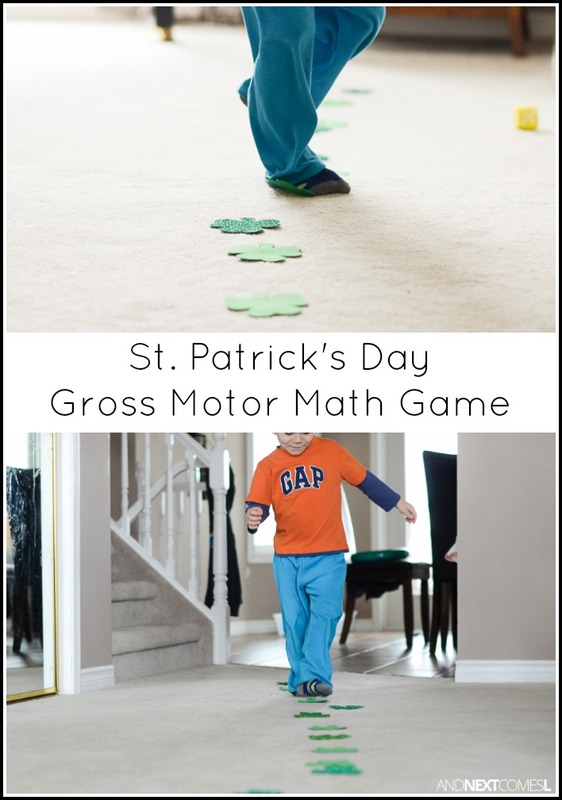 Looking for an easy way to get the kids moving and exploring math? 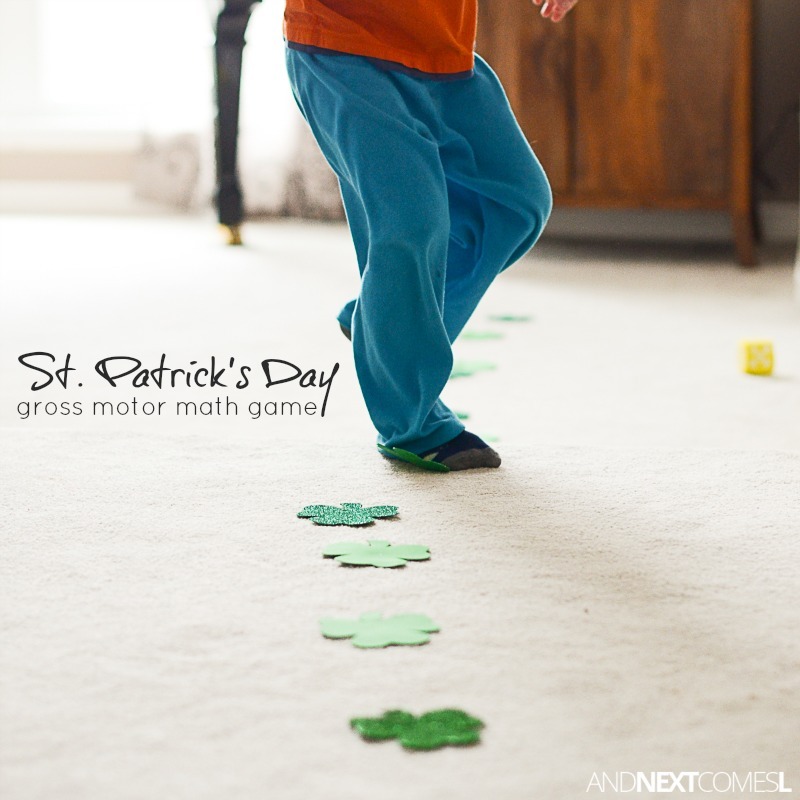 This super simple St. Patrick's Day gross motor math activity is the perfect way to do that! 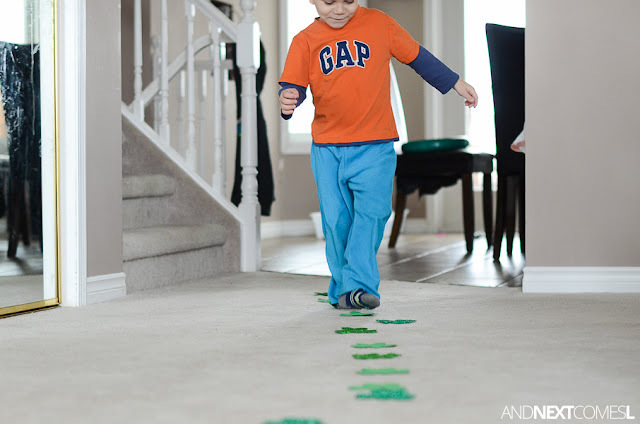 Not only do the kids get a chance to work on their math skills by counting, but you can sneak in additional learning, such as sight words, into this activity. This activity also works on balance, giving kids some vestibular sensory input. 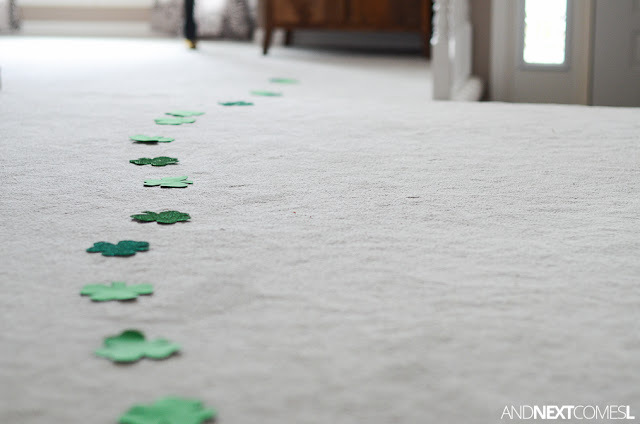 Create a huge "game board" by arranging the foam shamrocks on the floor. I went with a straight line, but you could create an kind of shape you'd like. 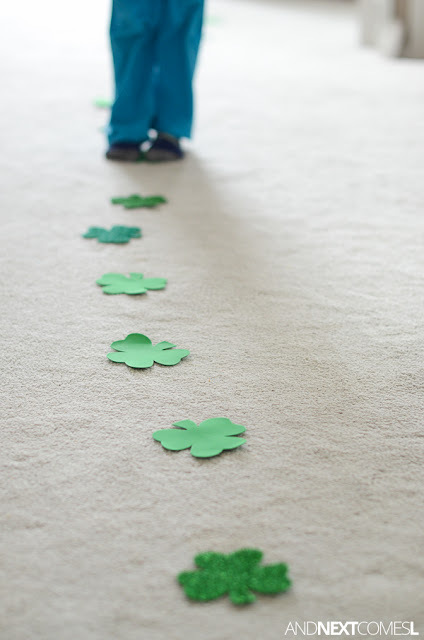 For additional learning, you could label the shamrocks with sight words, letters, numbers, math problems, etc. and have your child identify the word or number or letter, etc. when they land on that shamrock. 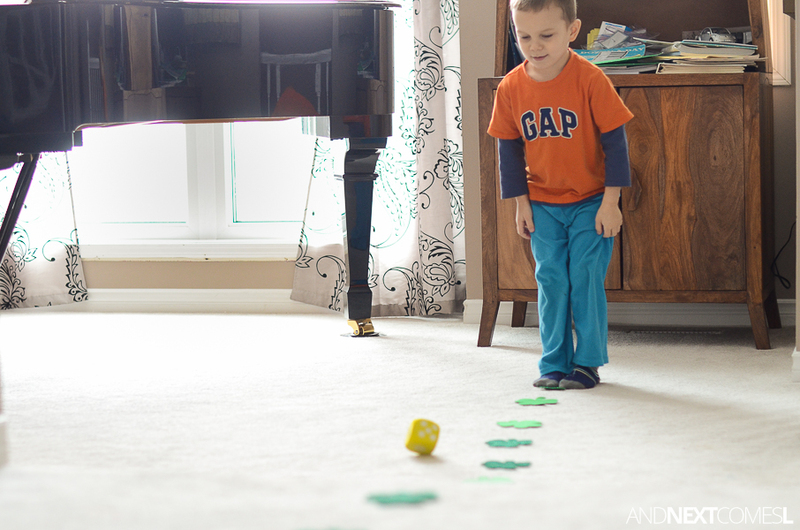 Starting at one end of the game board, have your child roll the die and move the corresponding number of steps. Since our shamrocks were arranged in a straight line, our game board was sort of like a balance beam. 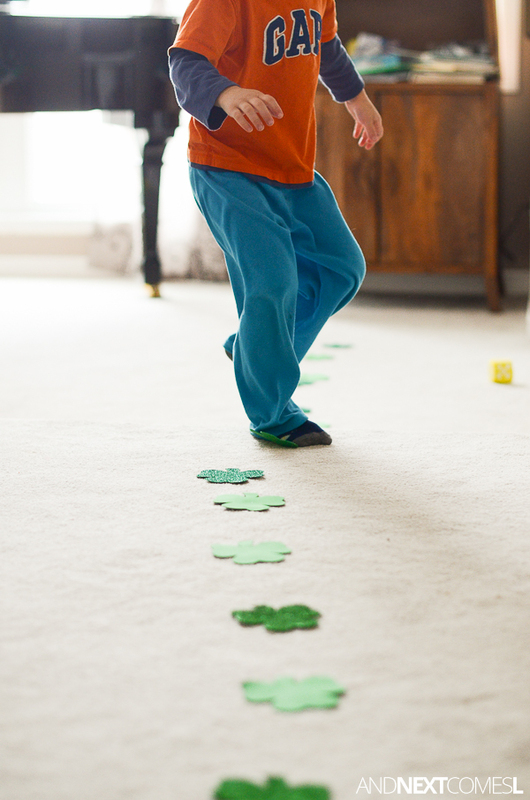 Balancing on those shamrocks is good for vestibular sensory input! What a simple and engaging way to play!